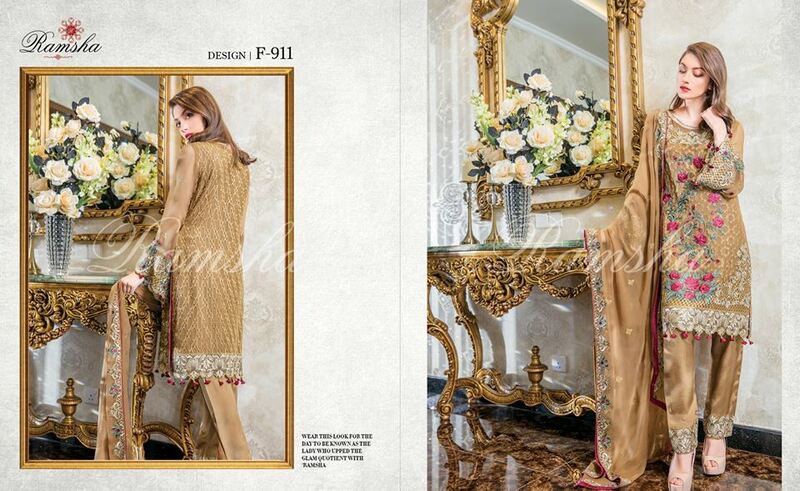 Ramsha presenting latest Regal Diva Embroidered Chiffon Collection 2018. Ramsha is a fastest growing brand in Pakistan or also providing high quality embroidered chiffon dresses for partywear in chic style. 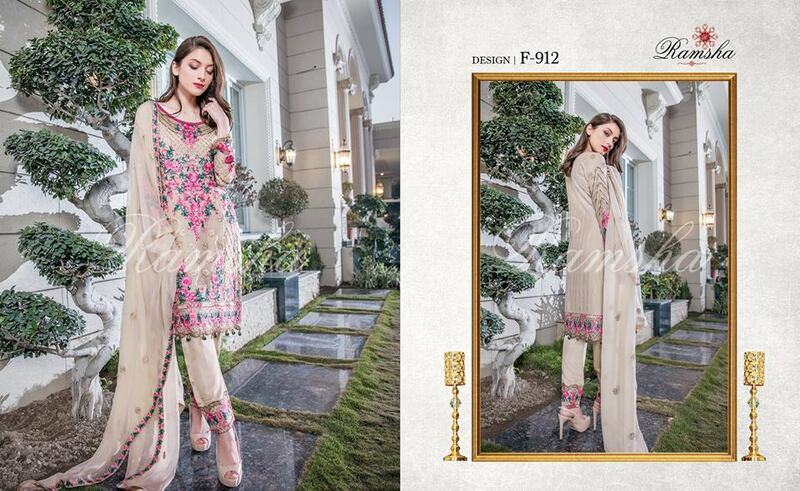 Ramsha aslo presenting sensational trends in women clothing with quality fabrics in cheap price, So this time Ramsha introducing another stunning embroidered collection by the name of Regal Diva Chiffon Collection presenting in 12 amazing designs and colors with unique embroidery style. 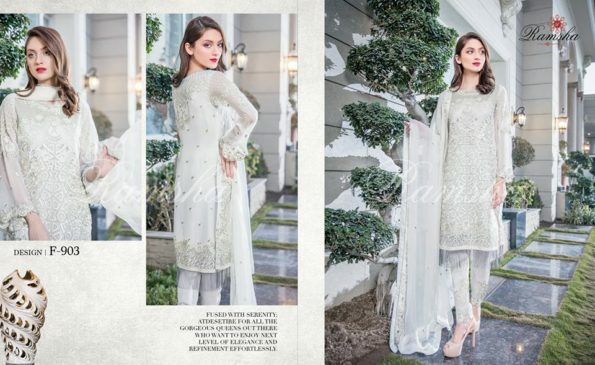 Ramsha also presenting 2 type embroidered chiffon collection one with zari embroidered with stone work or one with thread work embroidered chiffon collection in elegance designs. 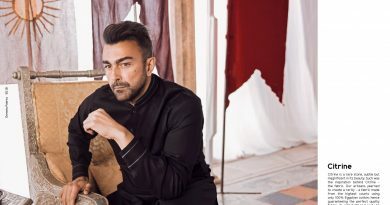 This collection Regal Diva Chiffon Collection consisting with thread embroidered chiffon shirt with embroidered dupatta and dyed trouser with embroidered patch in 12 magnificent designs and colors. The collection presenting in high quality bomber chiffon fabric really comfortable and price is also very reasonable for this collection. 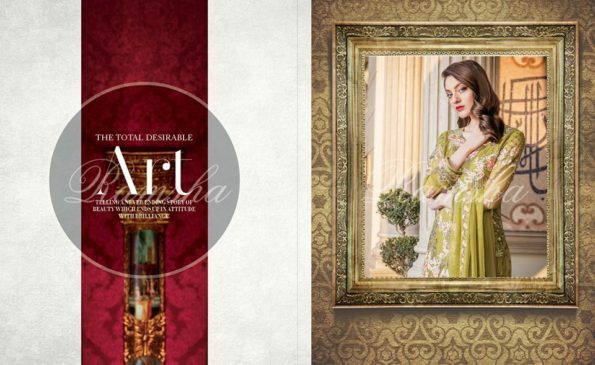 You can use these dress easily as party wear or attending wedding functions also with adorable look, So grab down or see latest Ramsha Regal Diva Chiffon Collection 2018 presenting by Ramsha hope you like to make these dresses a part of your wardrobe.